Your army hero deserves to be honored and appreciated year-round, especially during the holidays, when he or she gets to spend time with the family who loves them most. 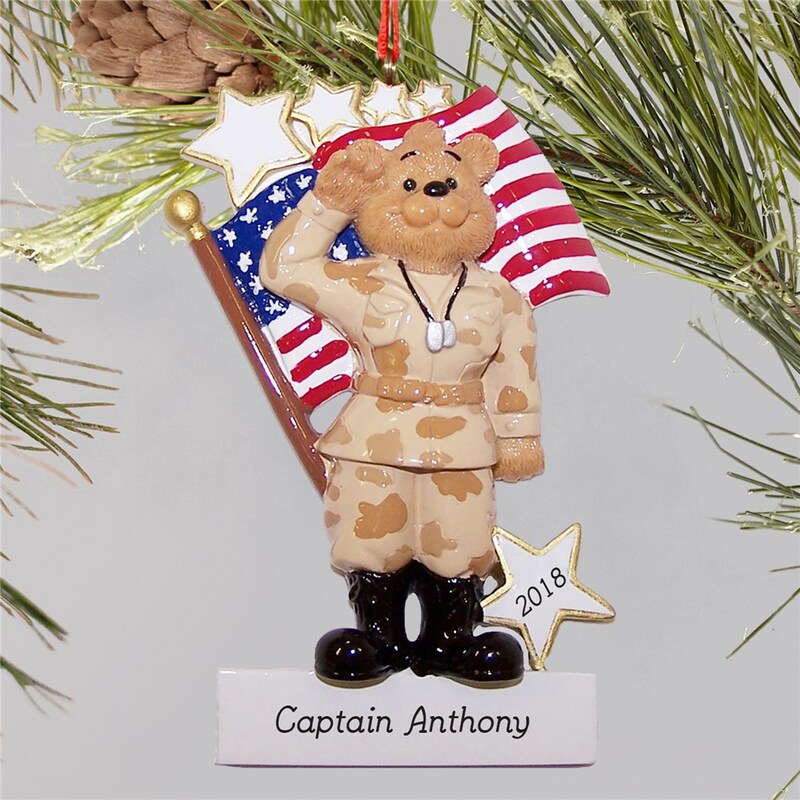 Create Personalized Military Christmas Ornaments as a special holiday surprise for them. They will be touched by the gesture. 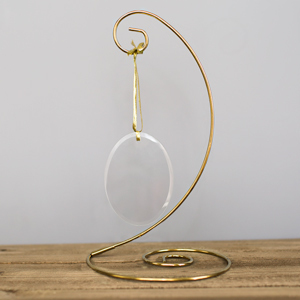 This resin ornament is individually hand painted and measures approx, 3 in x 4.75 in. 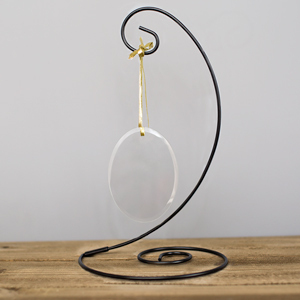 Each includes a ribbon loop. Personalize your gift with any name and year. Your dedicated soldier deserves a special place of honor on your family's Christmas tree every year. This is the perfect ornament for that job. This was a special Military tribute to my brother and grandson who are both overseas this year.